We are devloping protocols and apparatus for concentration and analysis of circulating DNA derived from cancer cells using magnetic beads and microfluidics. Circulating free DNA in cancer patients may be a potential indicator to monitor cancer progression and characteristics. For example, CpG sites in Circulating free DNA may be good prognostic or predictive biomarkers, sensing nanopore device to measure nanoelectric signals. 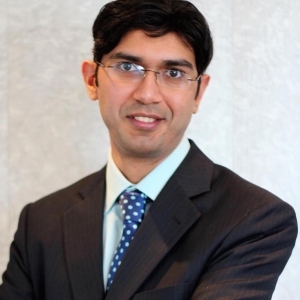 To do that, DNA molecules of short fragments, which may exist in low frequency of clinical specimens, should be highly concentrated so that DNA can be detected with more reliable sensitivity and at fast speed. Currently, I have been working on making a great DNA concentrator with nanomagnets, patterned with nickel, soft magnet materials. Thin nanomagnets can exhibit enhanced magnetic flux, which can be generated by a permanent magnet. Combining this nanomagnet with microfluidics may provide a great benefit to capture with extreme rate of concentration of magnetic beads, which can be bound with short oligo DNAs. The chemistry of DNA binding to the beads and removal from beads is another job for me to work for DNA concentration method. Fig. DNA concentration on a chip using nanomagnets. 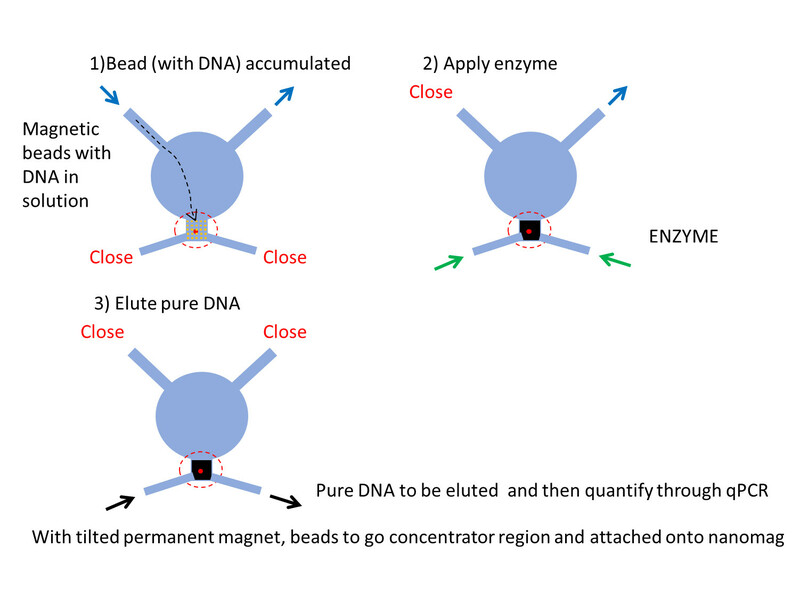 Functionalized magnetic beads are used to trap the DNA sequence of interest. Beads are then flown in a microfluidic chip that has integrated nanomagnets to capture the beads. An enzyme cleaves the capture molecule, releasing the DNA that is collected in a smaller volume.